Seizure - What is a Seizure? 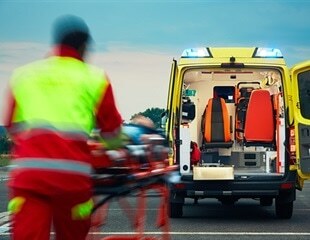 Emergency medicine doctors now have a better way to treat severe epileptic seizures in children, thanks to a New Zealand-Australian study. Researchers at the University of California, Irvine have identified for the first time an imbalance in a key neural pathway that explains how some people reactivate negative emotional memories. A currently approved epileptic drug to treat seizures has been modified by a University of Colorado Anschutz Medical Campus professor and is currently being used in a clinical trial in Australia for medically refractory epilepsy. Researchers have shown for the first time that dogs can recognize the scent given off when a person is having an epileptic seizure. The U.S. Food and Drug Administration today posted a warning letter to Nutra Pharma Corp. for illegally marketing unapproved products labeled as homeopathic with claims about their ability to treat addiction and chronic pain, including pain associated with cancer, diabetes, shingles, fibromyalgia and other serious conditions. A minimally invasive procedure to determine whether patients with drug-resistant epilepsy are candidates for brain surgery is safer, more efficient, and leads to better outcomes than the traditional method, according to new research by The University of Texas Health Science Center at Houston. When an epileptic seizure occurs in the brain, the nerve cells lose their usual pattern and fire in a very fast rhythm. The cause is a complex interplay of various factors. The U.S. Food and Drug Administration has issued a warning letter toTotal Thermal Imaging Inc., of La Mesa, California, and its president and co-owner, Linda Hayes, for illegally marketing and distributing an unapproved thermography device as a sole screening device for breast cancer and other diseases. Today, the U.S. Food and Drug Administration issued a warning letter to Mark Berman, M.D., of Beverly Hills, California, for illegally marketing an unapproved implantable device, the Pocket Protector, that Dr. Berman claims can prevent and treat a complication of breast implants known as capsular contracture, or tightening of scar tissue. Epilepsy is a common neurological condition with a prevalence of around 2%. Many antiepileptic drugs are available to prevent epileptic seizures, allowing up to 80 percent of patients to become seizure-free. Physicians can now be alerted to pediatric patients' risk of sudden unexpected death in epilepsy, or SUDEP, during routine primary care visits by using software developed and commercialized by a researcher-entrepreneur at the Indiana University School of Medicine. In an effort to reduce chronic pain, many people look for hope by paying $20 to thousands of dollars for a tube of prescription topical pain cream or gel.